Bridal stylist Lindsay Kenna heads to New York and gives us a front row seat to Bridal Fashion Week. The days of understated bridal wear are officially long gone. 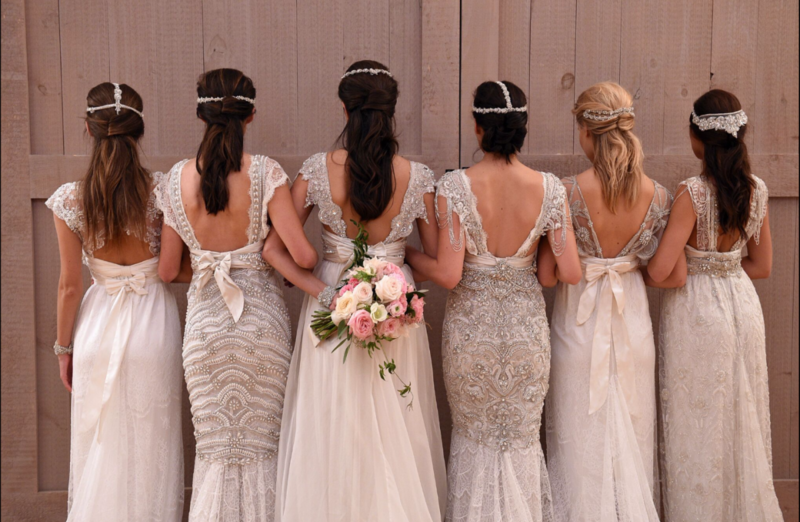 2016 brides, get ready to shine! 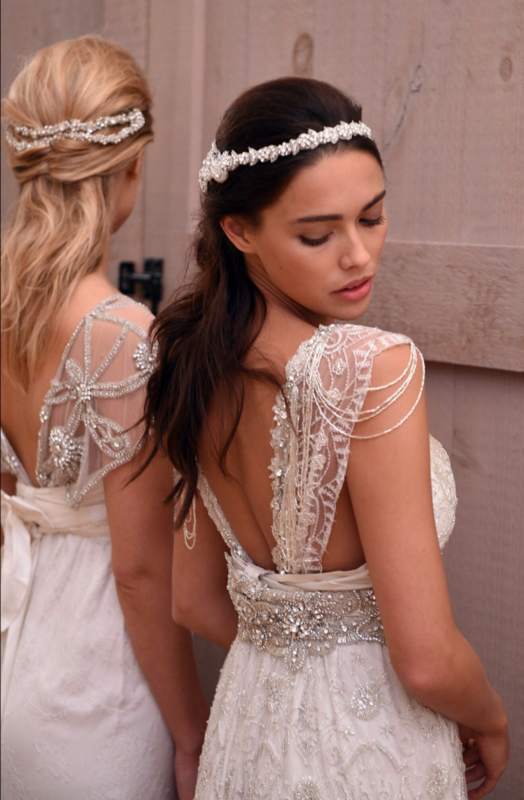 Sparkle and royal glamour is taking over the bridal world. Enter: Berta Bridal. 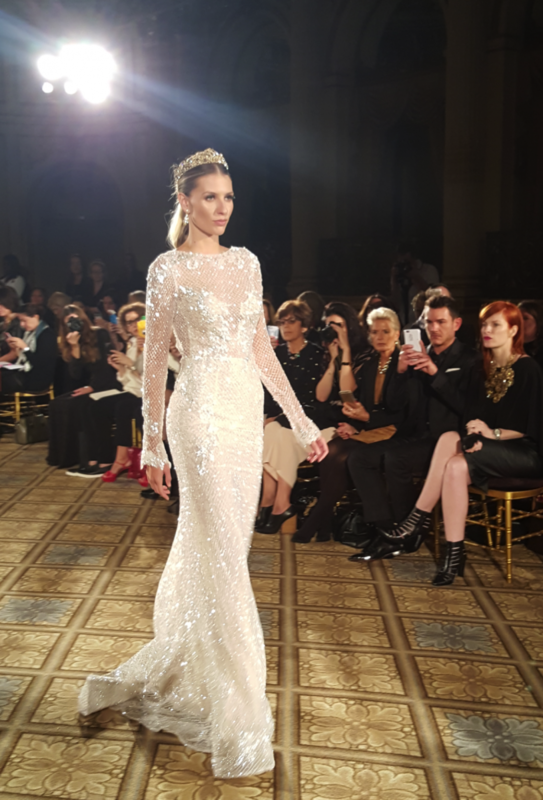 The Israeli powerhouse Berta Bridal reigned supreme at NYBFW this year, showcasing her collection at the famous Plaza Hotel across from Central Park. Gowns dazzled with detailed shimmer, perfectly fitted bodices, lace overlays, and sheer silk tulle and organza skirts. Models strutted down the runway to music by Lorde, putting guests in a magical trance. Maria Elena Headpieces made custom jeweled crowns for the occasion, and were the cherry on top of the truly royal affair. Israeli designer Julie Vino continued the royal trend by parading her new collection down the runway with luxurious silk satin removable trains and intricately detailed shimmery lace gowns. Australian designer Anna Campbell made her US debut at Bridal Fashion Week this year and wowed guests with her beautifully detailed bohemian gowns. 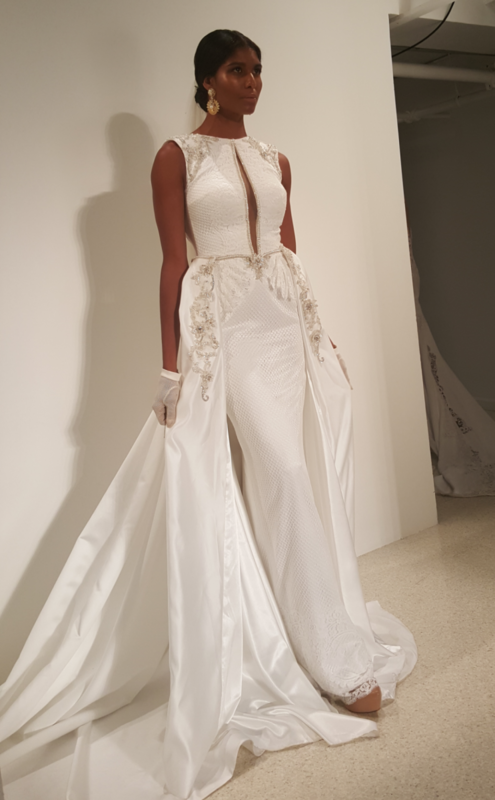 Anna presented her signature flowing silhouettes, romantic bows, and vintage-inspired beadwork. The models’ hair was adorned with Anna’s custom crystal headpieces. 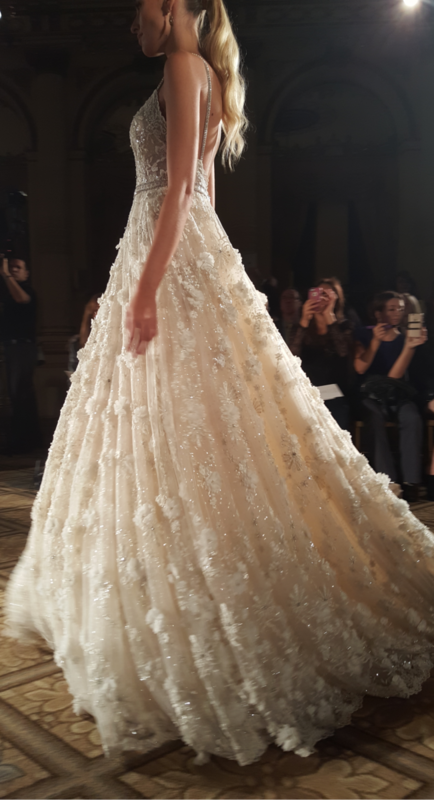 The perfect sparkling exclamation point to end the week of shows was this Carrie Bradshaw-inspired shorty bridal dress by Canadian designer Ines Di Santo. Great as a reception dress or a fabulous alternative for the bride who likes to dress outside of the box. Whether you want extra lace embroidery for a romantic touch or a daring backless look, there is a dress for you!